At least 15 people died when a car bomb exploded on a busy street and ripped into a nearby restaurant in Somalia's capital on Thursday, medics said. Security officials and witnesses reported bodies strewn on the ground as plumes of smoke rose high into the air after the bomb detonated on Mogadishu's Maka Al-Mukarama road, one of the seaside capital's main thoroughfares, an area busy with businesses and travellers. It struck as people were eating lunch. 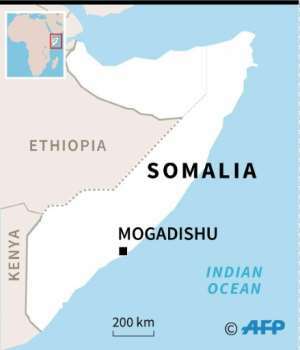 The attack was claimed by Al-Qaeda's Somali affiliate Al-Shabaab, in a statement posted on a pro-Shabaab website. 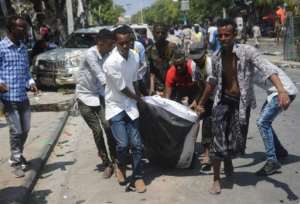 Abdulkadir Abdirahman Adan, director of the Aamin Ambulance service, said that 15 people had been killed, as well as several more wounded by the ferocious blast. Witnesses described scenes of devastation. "The car bomb struck a restaurant along the road," said Abdulahi Osman, who was nearby when the blast hit. "This really was a disaster." Vehicles were tossed into the air by the force of the explosion, which also damaged surrounding buildings. Witnesses said several cars and three-wheel motorbikes were destroyed. "I saw 16 people carried from the blast scene -- and more than 10 of them were already dead," Osman added. Ambulance workers rushed in to help take the wounded to hospital. "I don't know whether they were dead or wounded, but I could see several people strewn in the street -- some of them were motionless," said Suado Ahmed, another witness who was at the scene moments after the blast. Teams of ambulance workers carried away those killed and wounded on stretchers, while volunteers also helped by using plastic sheeting to lift the bodies away. 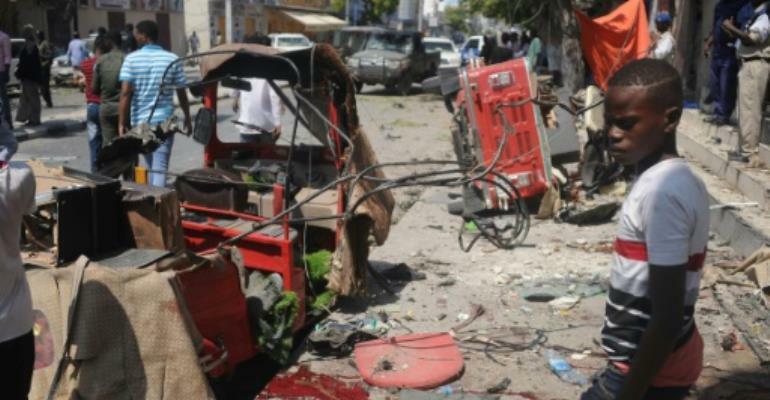 The bombing is the latest in a recent string of blasts in Mogadishu, which has been hit frequently by Al-Shabaab attacks. On Saturday, Shabaab gunmen attacked a complex housing government ministries in Mogadishu, killing 11 people including the deputy labour minister. Since then at least four people have been killed this week in three blasts, including car bombs and roadside explosions. "Another day. Another funeral. Another friend dead. Another acquaintance burnt alive. I have been to 4 funerals in 4 weeks. Mogadishans used to talk about being at the wrong place at the wrong time, now its degenerated to being at any place at any time," city resident Dalmar Hassan wrote on Twitter. Shabaab fighters have been fighting for more than a decade to topple the government. They fled fixed positions they once held in Mogadishu in 2011, and have since lost many of their strongholds. But they retain control of large rural swathes of the country, and continue to wage a guerrilla war against the authorities, striking at the heart of Somalia's government, despite years of foreign military support.